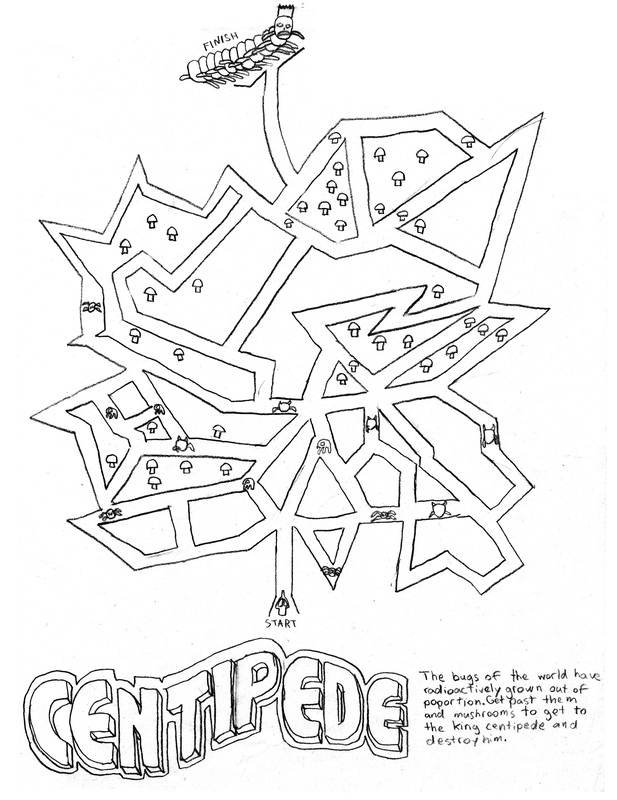 Concept: Original Centipede Game ©1980 Atari - STAFF: Designed and programmed by Dona Bailey and Ed Logg. This derivative artwork is displayed in tribute and under Fair Use. This simple maze's movement mimics the frantic back and forth dashing of the player in the actual game.